Subject: Test Release 4.7.4 of JMRI/DecoderPro is available for download. 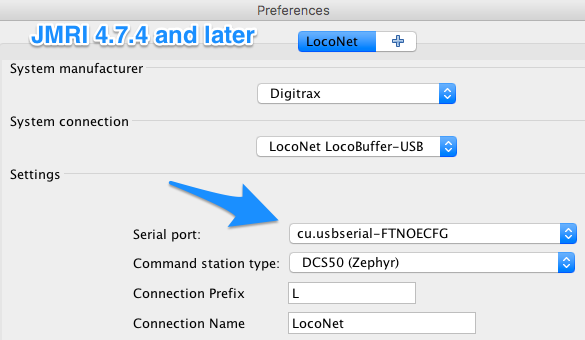 Since JMRI 4.7.3 The buttons to start the LocoNet Over TCP server may not be set properly if the server has already been started with the program (e.g. if the preferences are set to start the server). Since JMRI 4.7.4 If the NCE Command Monitor window is open, messages of the form "ERROR - Unhandled (command/reply type); code: …" will appear in the JMRI System console. The NCE Command Monitor still seems to be functioning correctly. If any of those effect you, please either wait for JMRI 4.7.5, due out shortly after this one, or (once there's a fix for the problem) pick up a development build installer from Jenkins. 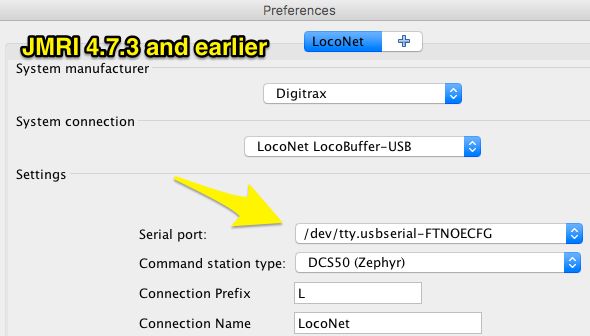 This version of JMRI uses a new library to access serial ports, including USB serial ports. This is a major migration for JMRI, so please let us know if you encounter any problems connecting to your layout. See the migration note above for steps you might have to take. Windows users only: this version only, fixed in JMRI 4.7.5, you might have to manually remove a lib\jna-4.2.2.jar file if it's present. If the program starts OK for you, don't worry about this. This version of JMRI (and all later) writes a slightly streamlined version of panel file contents. Older files should still be readable by this version of JMRI, but files written by this version may not be readable by versions before JMRI 4.7.4 depending on their contents. If you have set the JMRI Preferences to start the LocoNetOverTCP server when JMRI starts, or you have selected a port other that 1234, you need to go back to the Preferences window and reconfigure that. The previously-stored preferences won't work with this version. Scripts refering to the class jmri.jmrix.loconet.loconetovertcp.Server need to be changed to refer instead to jmri.jmrix.loconet.loconetovertcp.LnTcpServer. Since JMRI 4.7.1 The LocoNet Server (the LocoNetRMI service; not the LocoNetOverTcp service) in this version of JMRI doesn't properly interoperate with JRMI 4.6 or before. The workaround is to update both client and server JMRI machines to the same JMRI version. We expect this will be fixed in JMRI 4.7.5. Note that this release was made by a different process which is detailed in its GitHub build history. Contains a fix for the "Looping" behavior with SE8c SignalHeads seen in JMRI 4.7.3. Contains a fix for the "Looping" behavior with SE8c SignalHeads seen in JMRI 4.7.3. This most commonly hit LocoNet systems, but as SE8c boards can be used with any DCC system, it was a general problem.